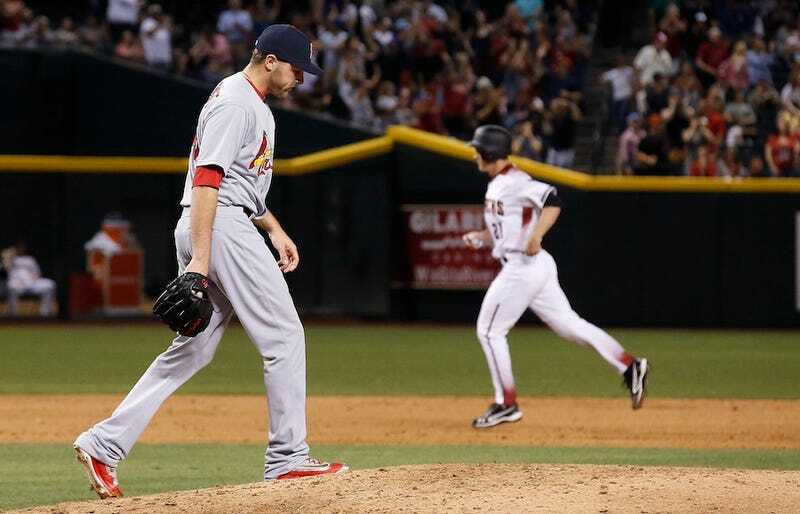 The Arizona Diamondbacks put together a nine-run inning as they bludgeoned the Cardinals for a 12-7 victory Monday. Jaime Garcia allowed a double and an RBI triple at the start of the sixth inning before being pulled. St. Louis still had the lead until the Cardinals’ bullpen fell apart. Relievers Matt Bowman, Kevin Siegrist, and Seth Maness combined to allow eight total runs over one inning. The Cardinals are one game over .500. There’s always the next game!